Local hero Mehdi Bennani won the TAG Heuer Best Lap Trophy at WTCR AFRIQUIA Race of Morocco despite enduring a difficult weekend of racing in Marrakech. 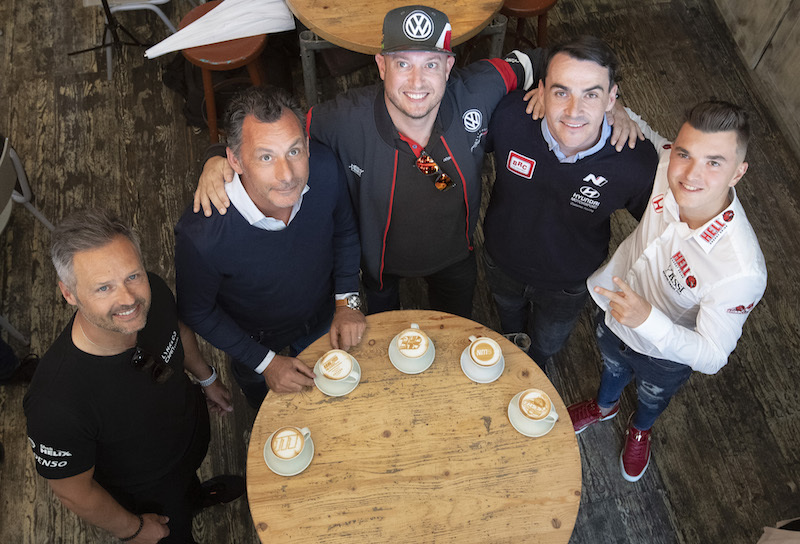 The SLR VW Motorsport driver failed to finish in both Race 1 and Race 2, but he took his Volkswagen Golf GTI TCR to a fighting P12 in the final encounter of the weekend – during which he logged the weekend’s fastest lap of 1m26.880s. The time eclipsed his team-mate Rob Huff’s fastest lap in Race 2. 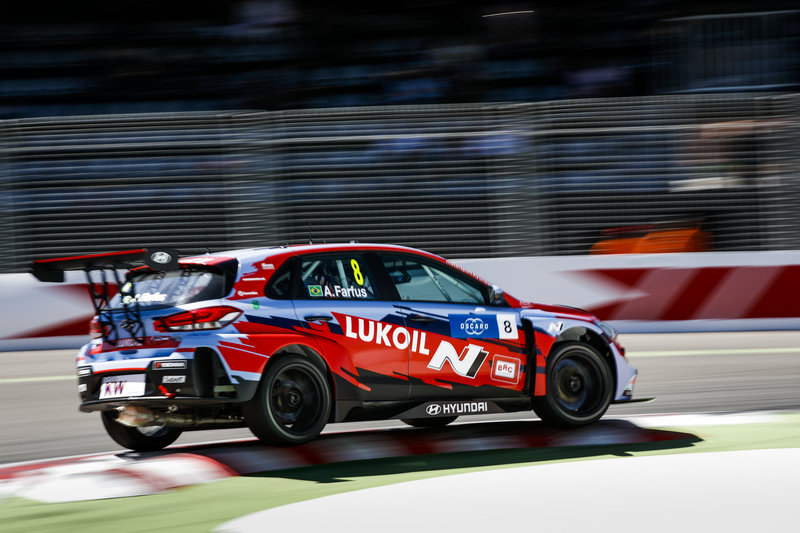 The Briton managed a time of 1m26.974s around the 2.971km Circuit Moulay El Hassan – although Huff’s time was fourth thousandths of a second slower than the fastest lap from Race 1, set by young gun Attila Tassi in his KCMG Honda Civic Type R TCR. 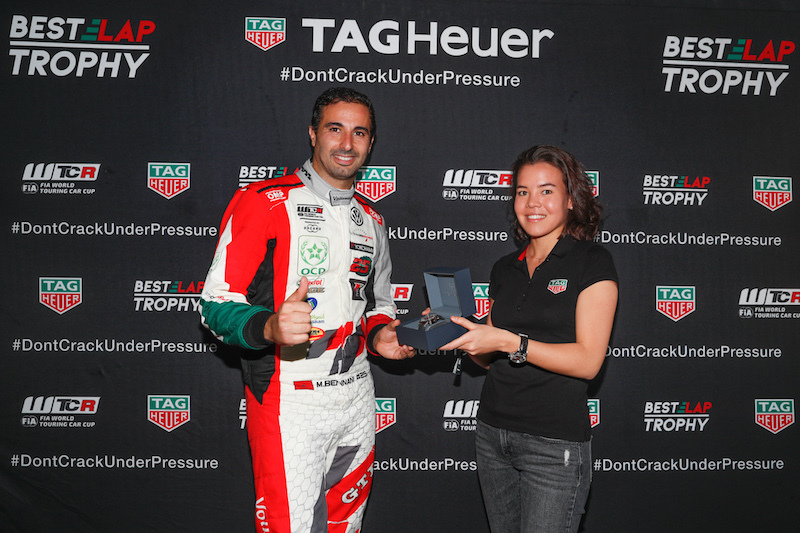 Charlotte Guan, Sales Manager, Africa – Mediterranean, TAG Heuer is pictured presenting the TAG Heuer Best Lap Trophy to Bennani.